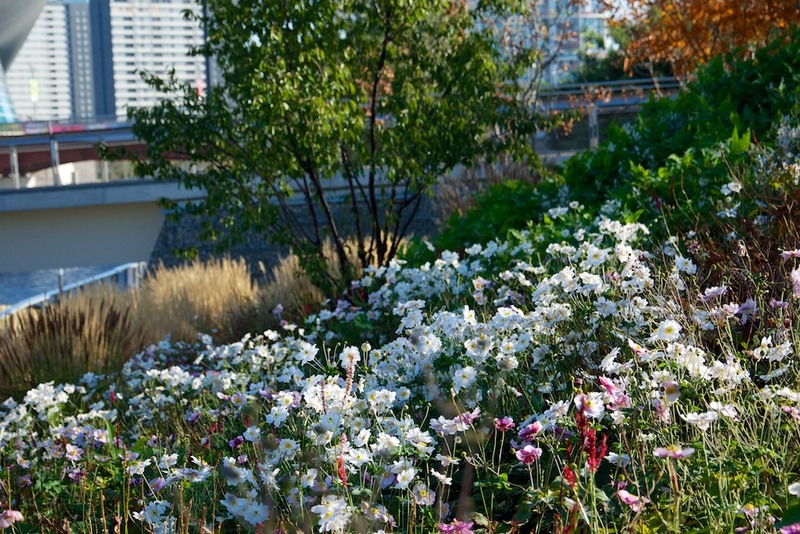 The Asia Garden was a collaboration between myself (overall concept, plant selection, and naturalistic mixes) and Sarah Price (spatial design and garden structure, and detailed design). The concept I devised for the Asia Garden was different to that of the other three World Gardens. Instead of the intricate naturalistic mixes of flowering plants, the Asia Garden was based more on lush textures and foliage effects, and a much stronger formal layout. A further important aim was to bring the essence of the incredible meadow landscapes that I had seen in parts of China: an element of the flora that has been overlooked in favour of the diversity of woody plants. 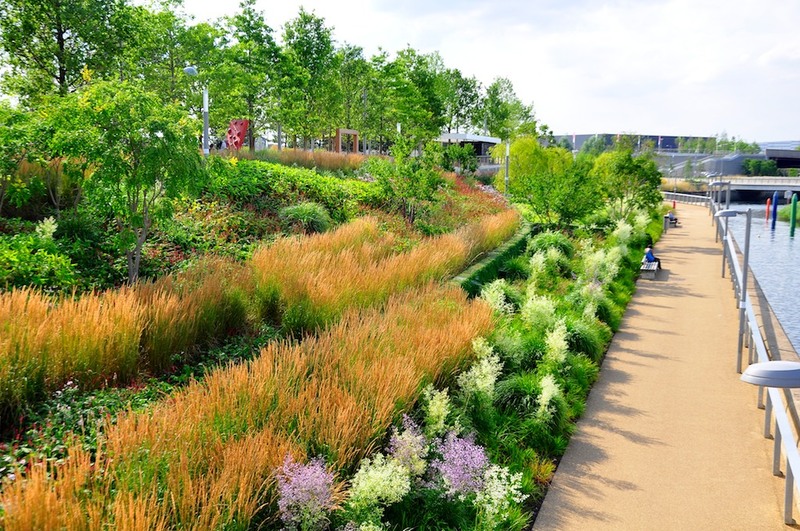 The garden is structured with Sarah’s motifs for all the 2012 World Gardens: curving evergreen box hedges, large monocultural blocks of grasses and architectural plants, which contain naturalistic ‘field mixes’ of grasses, perennials and bulbs. 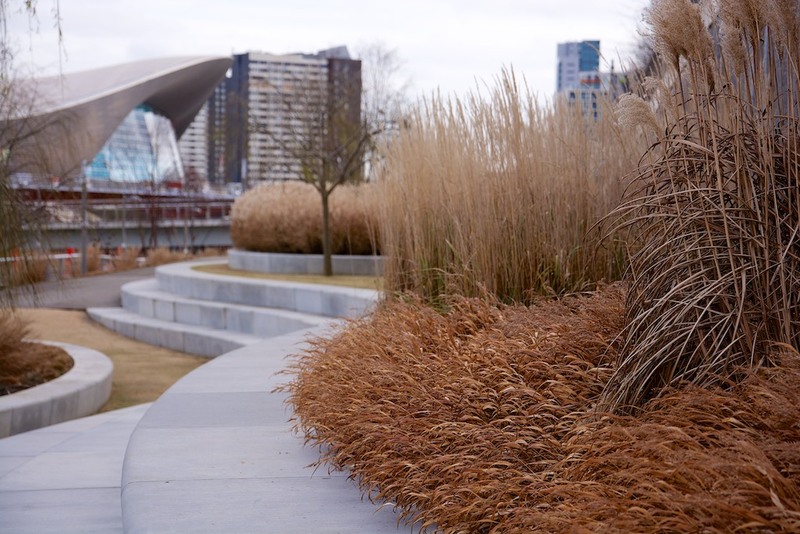 Large dramatic blocks of Calamagrostis ‘Karl Foerster’ give solidity to the mixed perennial plantings. As with the other World Gardens, clumps of multi-stemmed trees give height and structure throughout the year. Trees include Koelreuteria paniculata, Prunus serrula, and Betula albo-sinensis. One element of the Asia Garden that has been very successful is the Japanese Anemone ‘swathes’. 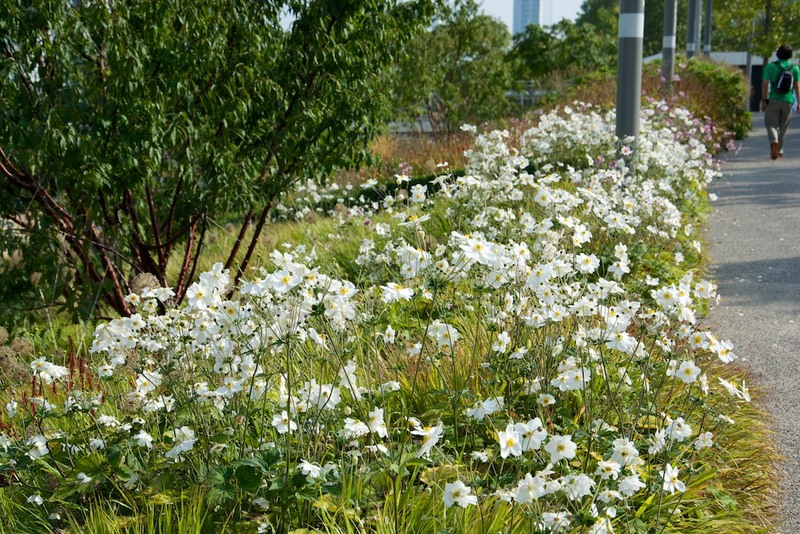 I wanted to try the idea of a Japanese Anemone meadow for late summer when the Olympic Games were in full swing: mixed cultivars of Anemone x hybrida, but predominantly the pure white ‘Honorine Jobert’, mixed with Persicaria amplexicaule hybrids. This has been very successful, flowering from July through to the end of October. 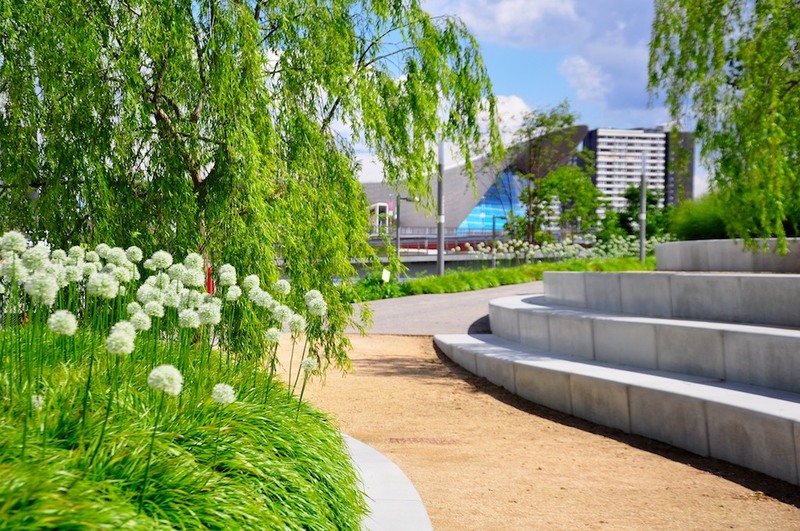 Unlike the other gardens, the Asia Garden has a greater degree of shaping and constructed elements: curving terraces and raised planters in white concrete work with level changes, and during the Olympic Games, were an important visitor seating and gathering area.